A wintry scene this morning with the sun struggling to break through above the snow dusted landscape. To our son’s great disgust there is no more snow in the forecast, but we are apparently in for a really big chill next week, with temperatures down to -8° at night and struggling to get into positive figures in the day. 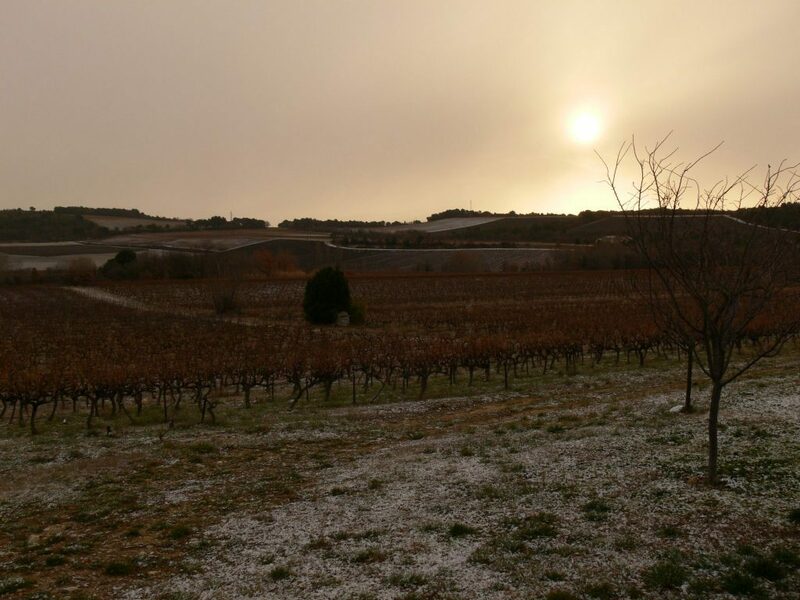 This will be the coldest “episode hivernale” since February 2012, but is very welcome in controlling the pests and diseases and also allowing the vines a proper period of dormancy.